On the Man Booker International longlist this year is Black Moses by the Congolese-French author Alain Mabanckou. 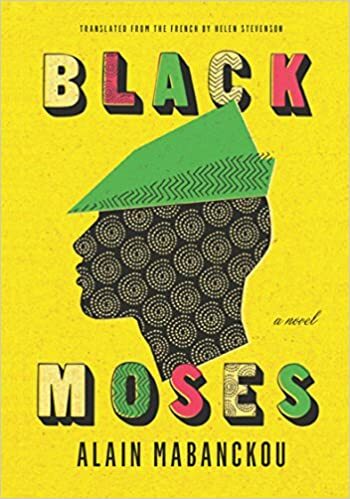 Black Moses is about a Congolese orphan growing up during the socialist revolution. His orphanage goes from being an institution run by religious to an arm of the Marxist-Leninist regime. One day, Tokumisa Nzambe po Mose yamoyindo abotami namboka ya Bakoko (also known as Little Pepper) runs away from the orphanage with two twins. The Director of the institution is corrupt and abusive; the boys want a better life. Unfortunately, Little Pepper’s best friend Bonaventure decides to remain in the orphanage, and the mayor of Pointe-Noire François Makélé vows to destroy Little Pepper’s new friends – the gang members and prostitutes in the city. Maman Fiat 500 is one of these prostitutes. Although she is the madam of a brothel, she also cares for our abandoned orphan. Throughout the novel, Little Pepper tries to find his place in a hostile society. This is not the first time a work by Alain Mabanckou has been considered for the Man Booker International prize. The Lights of Pointe-Noire was a 2015 finalist. Today, the shortlist will be announced. When it does, I will update you on the status of Black Moses. I personally was not very impressed by the book. Nothing really stuck with me. It was by no means a bad book, but the characters felt one-dimensional. I definitely preferred the last third of the book in which we learn about Little Pepper’s psychological state. In general, the author did an excellent job painting the social atmosphere of revolutionary Congo, but I didn’t feel an attachment to any of the characters. Little Pepper’s baptismal name Tokumisa Nzambe po Mose yamoyindo abotami namboka ya Bakoko means “Let us thank God, the black Moses is born on the lands of the ancestors” in Lingala, so I assumed that the protagonist would play a role in liberating his people, but the protagonist never gets involved in the revolution. If his name was supposed to be ironic, I missed the irony. I never understood the significance of his name. Despite being less than impressed by its execution, Black Moses is definitely an important novel. It explores a revolution that many of us in the West know next to nothing about. I won’t be surprised if it is selected for the shortlist. Black Moses is translated from the French by Helen Stevenson. Its original title is Petit Piment. Update: Black Moses didn’t make the shortlist.